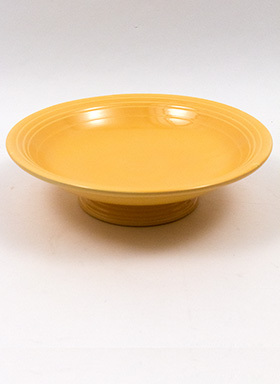 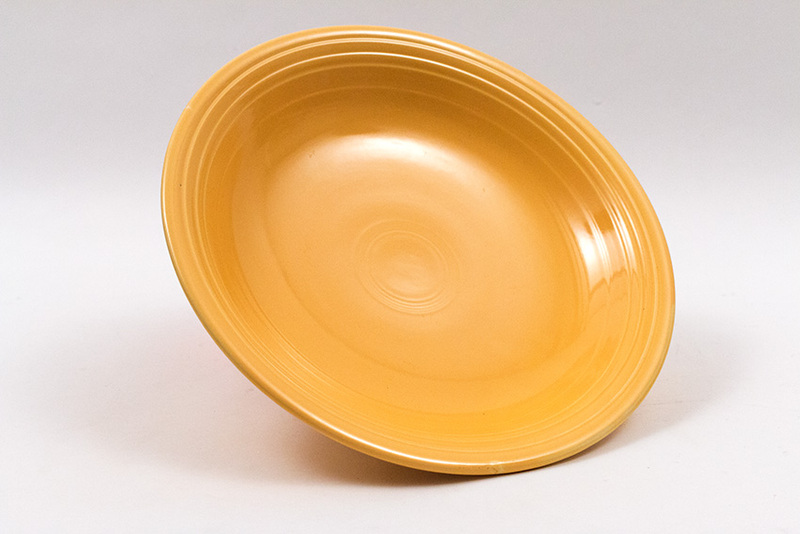 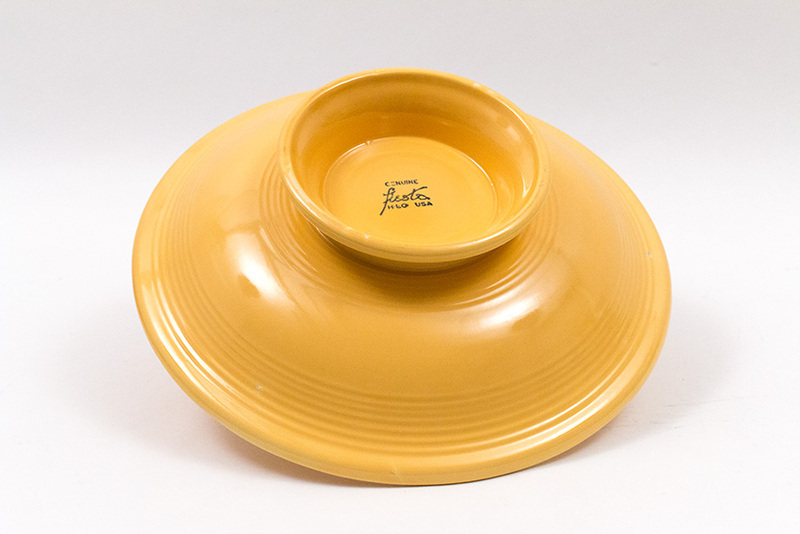 Circa 1936-1944: One of the great pieces of the Fiesta pottery line—the footed salad crosses over from dinnerware to art pottery when used on the table to display fruits or flowers. 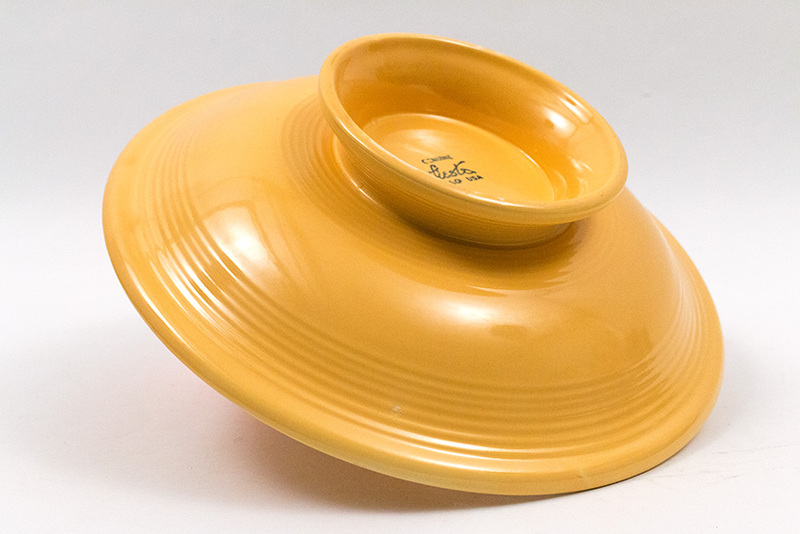 Slip cast foot would have been hand applied and the top made on a jiggering machine, the two pieces would have been joined by hand. Measures 12 1/2" wide, 3 1/2" tall. 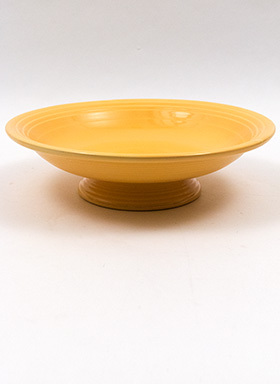 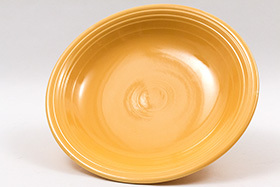 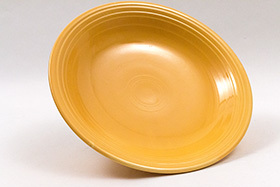 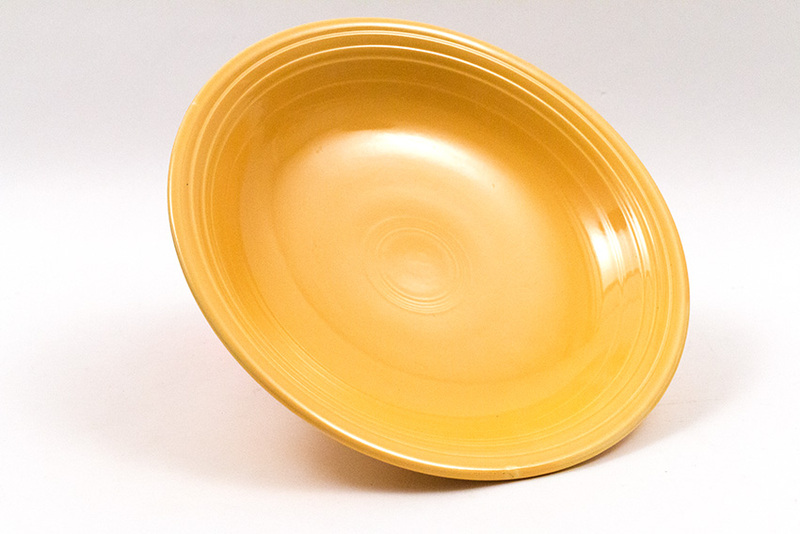 This example in the original yellow glaze is in excellent condition, boasts the early variation of the hand applied foot with extra outside bottom rinigs before the glaze stamp fiesta mark was added, and a great surface that shows very little use and no chips or damage or touch-ups and repairs. Just a great vintage piece and a classic example of Fiesta pottery.